Standard fitting for shower hoses. 5 shower modes. Multi Mode Rub Clean Shower Handset Chrome Effect is rated 3.9 out of 5 by 14. Rated 3 out of 5 by Hinge and Bracket from Average at best Although the wide range of shower settings work well, the water flow is decreased considerably when used on what is probably be the most commonly used ‘middle’ setting. Not as good as the shower head it has replaced, and it is probably worth spending a little more on a superior product. Rated 5 out of 5 by tina turner from lovly shower head i bought this shower head as my other had broken I like it better than the original . really gentle but good water pressure. Rated 2 out of 5 by RichardEastYorkshire from Weak Shower On All Settings We have a gravity fed shower. The existing spray head provided a forceful on all of its settings. That said the rubber holes were splitting so I decided to buy this shower head. It's turned our forceful shower into a feeble one. I can't believe how it's made it so useless really. It's not like we have a lack of water pressure... or have put it on an instantaneous electric shower... it's got a good pressure but this head is no good. Rated 2 out of 5 by wetone from Poor pressure I'm sure this is fine if you have super high water pressure - we don't and this pretty much dribbles on all settings - back to the old one which is looking tatty but does at least get us a decent shower. I thin the problem is just a huge hollow section that the water flow can't keep up with. Rated 5 out of 5 by Tony45216 from Nice shower head! 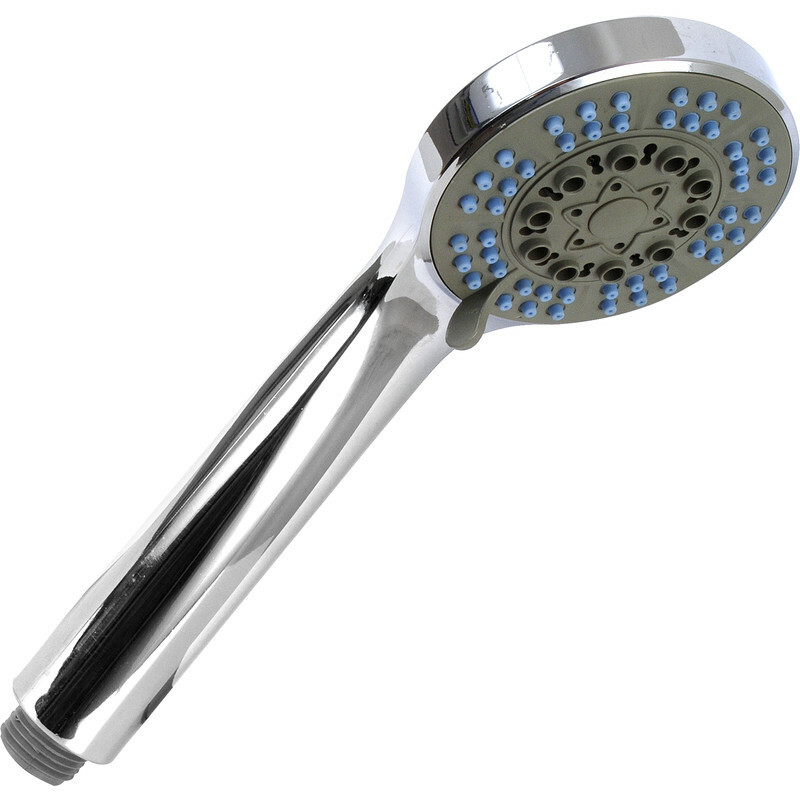 Very good shower head, nice shape and appearance with good flow / pressure. Rated 5 out of 5 by Sosdoc from Great value Does exactly what it says on the tin, can't fault it for the cost.